Jimmy the Gun: The Evolution in Police Vehicles is Here...Locally! The Evolution in Police Vehicles is Here...Locally! 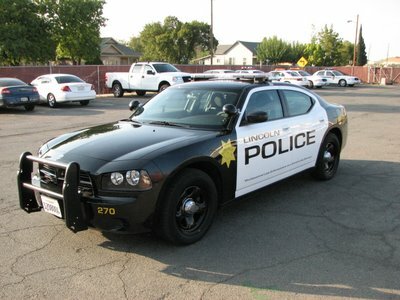 Here is a picture of the newest Lincoln Police car. It's a Dodge Charger. It kicks the tail of the Crown Victorias in their fleet. What is wrong with Ford? They have an engine and a great start to a design. I call it the Ford 800. Grow the Ford Five Hundred and put the 5.4 liter V8 in it. It would work. I've emailed Ford, no response. They will probably steal my idea and claim it as their own. Cops Have the Best Job!